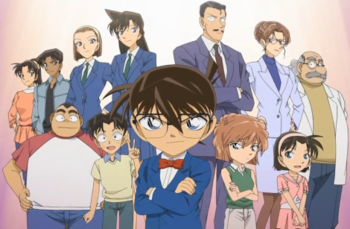 Scenario: After Conan makes a phone call to Rachel as Jimmy, he returns home and discovers that Harley Hartwell, a high-school Detective from the west side of Japan, is searching for Jimmy to test his skills as a detective. To help Conan with his cold, Harley offers him an unknown drink which is revealed to be a Chinese Alcohol known as Paikaru. Soon after, a woman named Kimi Tsujimura, wife to the diplomat Isao Tsujimura. She want Richard to investigate her son's girlfriend, Yukiko Katsuragi, believing she is too perfect. Richard, accompanied by Rachel, Conan, and Harley, are invited to the Tsujimura mansion and enters Isao's study. Kimi tries to wake up the seemingly sleeping Isao only to discover he is dead. Harley and Conan discern Isao was killed by a needle dipped in a powerful neurotoxin and his death was recent. The room however was locked and left Isao and Kimi the only ones with access to the room. Conan and Harley attempt to deduce the locked room mystery, the reasons the stereo was playing loud opera music, and the stack of books in front of Isao. 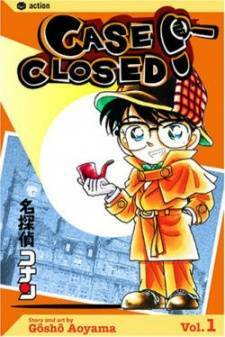 Conan's cold worsens and causes him to be bedridden in another room, while Harley discovers how Isao was murdered. Harley reveals that after Isao was murdered, the culprit placed scotch tape inside the key holder and pierced a string through the victim's pocket, allowing the culprit to leave the room, lock the study, and pull the string causing the keys to slide back into the victim's target; This is evidenced by the string and needle Harley found in the trash.